Unemployed? Got money problems? Do you really want to keep that expensive automobile? Is your second home dissipating your savings? Are you considering dipping into your retirement funds to pay credit cards? Even if your spouse is employed, your household income may have dipped, and that can work to your favor. Every person who files for bankruptcy faces the "Means Test." That test looks at your last 6-months of income and determines whether you are above or below median income for your household size. If you are below median income, the longer you have been unemployed, the more your income may have dipped. This may be the time that you pass the means test and can file a Chapter 7 bankruptcy, which is a relatively fast, effective, and doesn't require payments over time. Typically, your case is filed and closed within 3 to 4 months. At the end, you receive a discharge of your unsecured debt (except, of course, for student loans, domestic support obligations, criminal fines, etc. ), as well as a discharge of your mortgage note and your auto note. A Chapter 7 bankruptcy gives you the opportunity to surrender to the auto lender that expensive automobile with the big monthly payments you thought you could pay before unemployment. If you have secured debts such a mortgage or car loan, Chapter 7 also permits you to keep that collateral so long as you remain current in the payments. Is your house underwater (mortgage larger than the market value of your house)? Do you resent paying off a $400,000 mortgage on a home worth $200,000? Chapter 7 gives you the opportunity to surrender that house, let it go to foreclosure while living in it pending the sheriff sale, without worrying about paying a deficiency to the lender. So, say hello to Chapter 7 bankruptcy and goodbye to all those harassing creditor calls. And no more threat of lawsuits from unpaid credit card bills. Go on. Obtain your "fresh start." 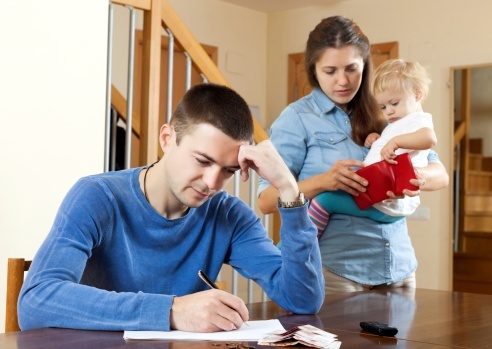 Call us at 973-870-0434 to discuss filing for bankruptcy.